Love the shaggy trees at left balancing the stately, framing sugar pines. 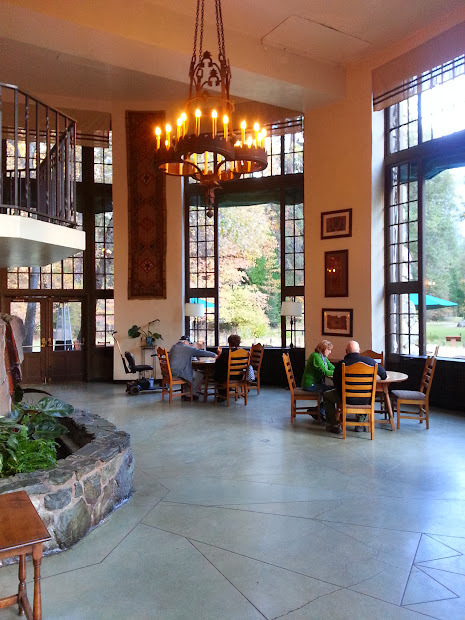 The solarium at the Ahwahnee. 4 pm., to the accompaniment of Rachmaninoff soaring in its acoustic graces from a grand. 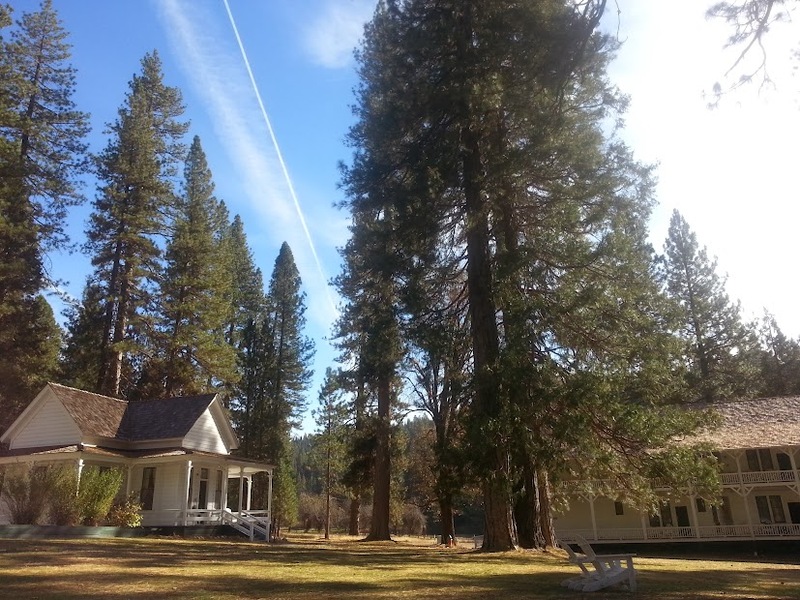 Some of the Wawona Hotel’s rickety, faded yet charming structures. This entry was posted in Exploring and tagged color, travel on November 13, 2013 by deborah.